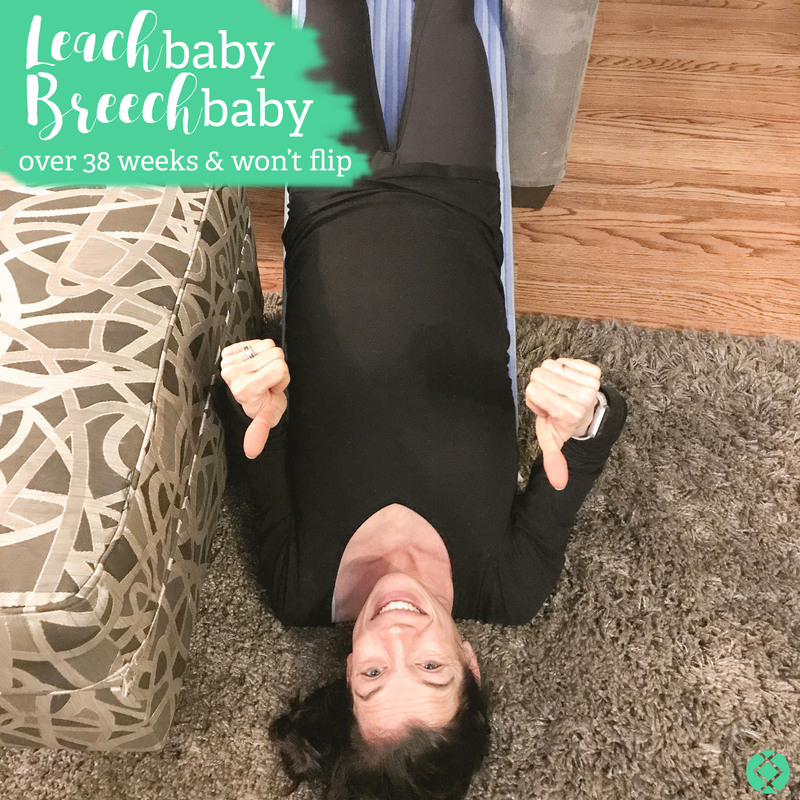 Leach Baby, Breech Baby—Over 38 Weeks and Still Hasn’t Flipped! This entire pregnancy, I never planned for this… A breech baby. I know breech presentation happens, but because my previous two pregnancies were vaginal deliveries it truly was something I never considered. For those of you that may be unaware of the term, in a normal pregnancy, the baby flips a few weeks before delivery to allow a head-fist delivery. With breech presentation, the baby remains in a feet-first position. I used a doula for the delivery of our son, Jameson, and had a wonderful experience. Unfortunately, she moved away, so we decided we would find another doula for this pregnancy. We did, and she’s Incredible. She helped me write out my birth plan months ago! My goal for all my pregnancies has been to have an unmedicated delivery. With my prior labor/deliveries I ended up having to be induced with Pitocin for both of them (which some say is the devil of medications… Oofta! ), so, for a number of reasons, I ended up with an epidural for both of those deliveries! But I started doing everything I could to help the baby turn. I have been having frequent ultrasounds (every 4 weeks since week 28) due to the fact that this sweet baby boy is the product of a frozen embryo transfer. I thought nothing of it at 28 weeks and 32 weeks when he was breech… I was told that this is extremely common, and they often flip by week 36. I started asking friends and family (I’m sure you’ve seen my post about it!) what I could do to try and help him flip. The number #1 recommendations were chiropractor and acupuncture. went to the acupuncturist. 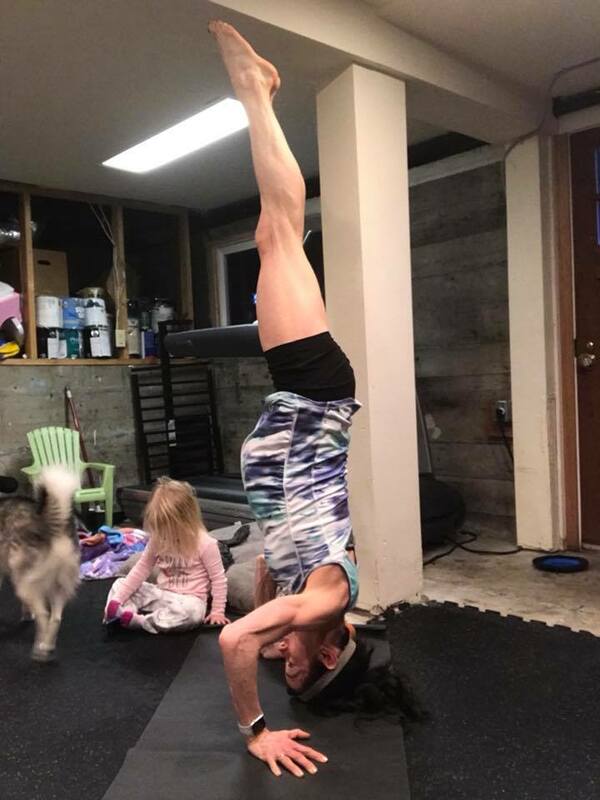 Someone recommended headstands. I did that. At 36 weeks and still he was breech, time for an ECV! My week 36 ultrasound, (nearly 37 weeks) showed he was breech again. The specialist and my OB recommended an external cephalic version (ECV) where my doctor would manually try to help our baby move to a head down position. The success rate is approximately 58%, but I was hoping I would be in those odds. I was told I was a good candidate based on his size and this being my third pregnancy. I was admitted to the hospital last Saturday for the procedure. I couldn’t eat or drink anything beginning at midnight, just on the off chance that something emergent happened to lead to a C-section. We showed up at 11AM, they monitored the baby, gave me a medication to help relax my uterus and my doctor proceeded to try to flip him. She worked so hard, and the little man fought back. I’m not even kidding, I could feel him kick and resist her… She tried three separate times (her max for this procedure), and much to our disappointment, he stayed put—head up. Breech. 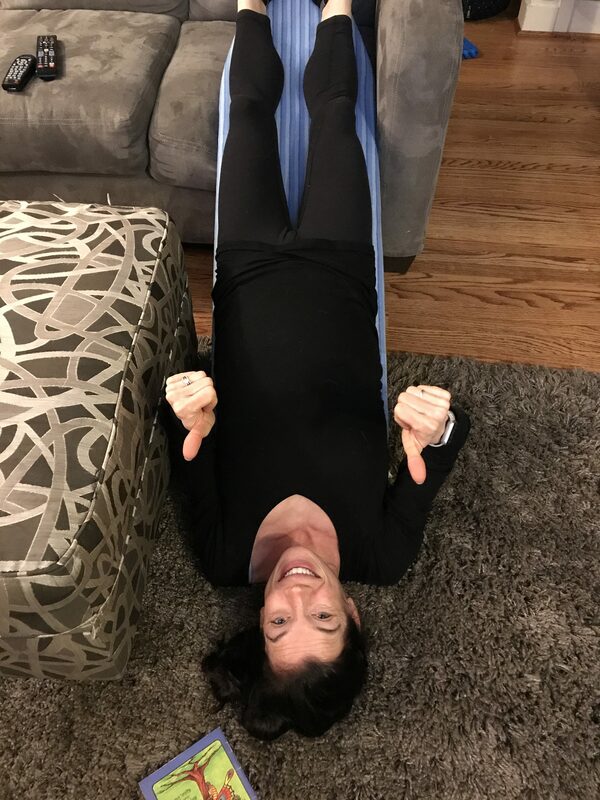 For the record, the external cephalic version procedure itself was totally tolerable—I honestly did not find it painful at all! Cat/cow yoga position – I’ve been doing this nearly nightly. Lay inverted on an ironing board, head towards the ground – Unfortunately hasn’t worked… I’ve tried multiple times. Moxibustion – (You can learn about moxa here.) My husband has been an incredibly good sport, holding these to my toes since it’s hard for me to do myself! Somersaults in the swimming pool – My triathlon club was laughing at me! Cold/ice/frozen vegetables on top of my belly, heat at the bottom of my belly – The kiddo moved around, but didn’t flip! My doula came over and used her Rebozo (a labor wrap), that helps to shift the baby and encourage him/her to move, and ideally move head down. Alas, none of these have been successful. But at least I can assuredly say, I’ve given it my best shot. I have a 1-in-20 chance that he’ll flip. At this point (beyond 38 weeks), only 1 in 20 breech babies will move from their current position to the optimum position (head down). But you know what? I’m still holding onto hope! It’s quite a different experience having a baby breech so far in my pregnancy. I literally can feel his head day and night… It often makes it a bit harder to take a deep breath when the feet karate chop my ribs, or his head presses against them. HA! If he doesn’t change positions, unfortunately, I will have to have a scheduled C-section. It’s not what I planned, but it certainly is not the end of the world. Truthfully, all I really care about is to get this sweet boy in our arms, for him to be healthy, for me to recovery well, and for both of us to stay safe. When it comes to pregnancy, motherhood, and life, does it ever seem to go perfectly with our plans? Not usually,, and that is something I’ve quickly learned along my infertility journey and in having two kiddos (now ages 3, 18 months). So, we prepare the best we can. We say prayers to get this kiddo here safe and sound and healthy. I will continue to see the chiropractor, do inversions at home and do moxibustion nightly. And I’ve decided that what’s meant to be will happen. I’ve learned in my life that, typically, despite things going a different direction that I initially anticipated, when I look back on my experiences, I find it always happens for a reason… That what’s meant to be, will be. Am I scared? Yes. Absolutely. A C-section is no walk in the park. It’s a major abdominal surgery, and as a nurse practitioner in a pre-operative clinic, it’s hard to take off my nursing hat for a minute and realize my future son and I soon will be the patients. But I know so many moms who have had C-sections, done amazingly well, and have shared their experiences with me, which has helped to alleviate my stress and anxiety! I have a new birth plan. Well, two birth plans. One for a natural delivery. One for a C-section. My doula, Solveig Toft has been an incredible resource through this process, and I am so glad she will be able to be there for me, however the outcome. I can’t go without saying how amazing and supportive my husband has been through all of this, especially putting up with all the various things I have tried to attempt to get this kiddo to turn! Only approximately 1 in 25 full term births are breech (approximately 3-4%). On other sites, I’ve found that only 1-3% at still breech at term. There are three types of breeches: Frank, Complete, Footling, or Incomplete. Vaginal breech deliveries are now very rare, and few Obstetricians are trained to deliver breech babies. Random fact I learned: My Dad was a breech baby (delivered vaginally though with forceps). An anesthesiologist told me that the #1 surgery performed is a C-section. Hoping we can defy the odds! I would love to hear YOUR experiences with a breech baby or C-sections!